I’d been excited about this weekend since I bought the tickets back in January. 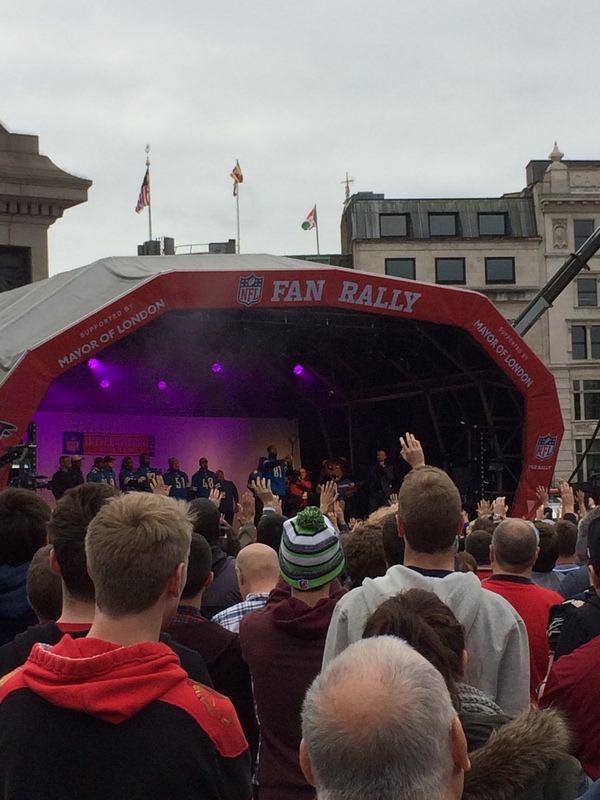 I’d never been to a fan rally, nor had I ever been to a live NFL game so I had no idea what to expect but all I can say is ‘Wow, what an experience!’. The fan rally was brilliant, there were numerous zones with different things going on, and then the stage in the middle. We were first introduced to a number of Detroit Lions key players including Matt Stafford, Reggie Bush, Ndamukong Suh, and Calvin Johnson. Later on in the day we got to see the entire Falcons roster and head coach Mike Smith, along with the entire Falcons Cheerleader Squad. Seeing all of those players was pretty crazy, especially with them all going through the middle of the crowd (in fact, you can see a video of this on my YouTube Channel. What I love about the NFL is that it’s all about the fans. Getting to see players right in front of you and meeting former Super Bowl winners. For me, the highlighters were having my photo with the Vince Lombardi trophy as well as Sky Sports NFL pundits, Kevin Cadle and Shaun Gayle (1985 Super Bowl Champion! ).